This entry was posted in BBC Sherlock, Sherlock Holmes, Sir Arthur Conan Doyle and tagged arthur conan doyle, BBC Sherlock, benedict cumberbatch, Dr Watson, Mark Gatiss, Martin Freeman, Sherlock Holmes, Steven Moffat. Bookmark the permalink. Didn’t Conan Doyle say something about the more you added to the Holmes character, the more you diminished it. In the end this came off as a mash up of The Man With The Golden Gun and thet Scottish mansion ending in Skyfall. Ironic it should end with a paean to what we love – two blokes in 212b solving puzzling crimes – having wilfully ignored that for this series (apart from those quick fire throwaway scenes). Still, much to enjoy and make you smile at the references – The Three Garridebs for example – but for me it strayed too far from what made the first two series so good. The first two series were brilliant, why have they not been able to re capture that magic ever since? 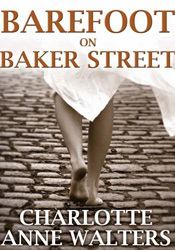 I think they have made it too personal and too extreme, making Mary a spy/assassin and giving Mycroft such a big role – all this government intervention and international espionage took it away from it’s heart which is two blokes in a London flat-share solving unusual crimes/mysteries with or without the police. It became less London, more international, more planes and helicopters instead of cabs and underground tubes. The Jeremy Brett Holmes series strayed further from the Canon as it went along and so did Brett’s portrayal (for which he’s forgiven as he wasn’t well for some of it). Basil Rathbone’s Holmes stayed closer to the original but the plots of the films served a different purpose (war propaganda partly) and so strayed further away from the Canon. 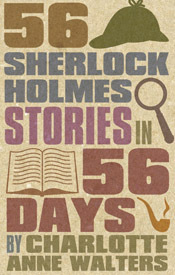 Even Conan Doyle’s later stories were, many would say, not as good as the earlier ones. Adaptations that mess with the (true) character of the originals, such as trying to give Holmes emotions (he has them but doesn’t allow them to get in the way) for example just corrupts the whole thing. Moffat’s and Gatiss’s throwing bits of the original stories into a blender and then wrapping them in another plot does grate a bit if you’re a true Sherlockian. It must be doubly puzzling if you’ve never read the stories. I did smile at the “nod” to Basil Rathbone in the final scene! The reason I liked the first two episodes of series four was because they stuck to one story from the canon and followed the essence of it, updating it to modern scenarios. But in the final episode it was back to ‘throwing bits of the original stories into a blender,’ as you so rightly put it. This was a shame, and I think calling it ‘The Final Problem’ was misleading – I was expecting more elements of the original. Thank you! The show has divided opinion so much, many have agreed with me, many have passionately disagreed. I guess that’s probably what the show’s creators wanted – to get us all talking. I have a PhD in theoretical physics from New York University, yet I could not decipher a single episode of the Cumberbatch series. Ha ha, I’m not alone then! It’s almost as if that wasn’t supposed to matter, the plot was incidental to watching the characters interact with each other, seeing their emotions and character development. Personally, I need a good combination of both. Yes, I agree — I’m tempted to watch again but feel my confusion wouldn’t be abated. I watched it again and if anything, felt more confused than the first time!